The presidents of over 400 universities of more than 100 countries and regions have sent letters expressing support for the institutes. 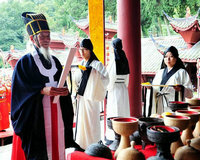 Many foreign universities held ceremonies marking the Confucius Institute Day. 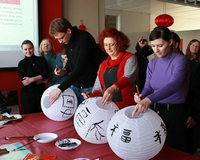 On Saturday,the Confucius Institute of Victoria University of Wellington held a ceremony in the New Zealand capital to embrace the special day for the Chinese cultural and educational flagship program. Confucius Institute at University of Botswana on Friday held an event to celebrate the Confucius Institute Day in Gaborone. Ceremonies marking the first Confucius Institute Day or 10th anniversary of the institute's establishment were also held over the past a few days in countries including Turkey, Pakistan and Cambodia.